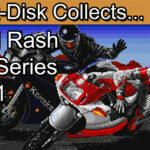 Insert Disk collects the Road Rash series. Part 2 of 3. Greetings collectors and welcome to today’s retro game review. This is part 2 of our mini series looking back at the original trilogy of the Road Rash series. In part 1 we took a look at the game that started it all. 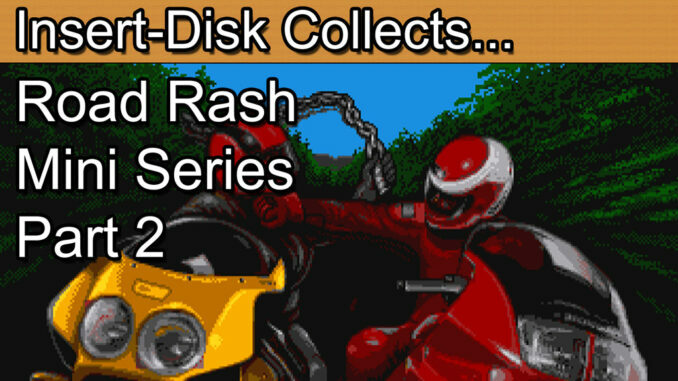 In today’s episode we’re taking a look at the highly anticipated sequel for the Sega Mega Drive and Genesis, the appropriately named, Road Rash 2. 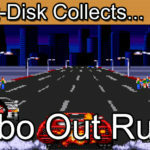 From the outset Road Rash 2 sets out to be bigger and better than the original whilst keeping the core game play intact. Everything that made the original work is back here in the second outing. The other riders, the police, the weapons and the throbbing soundtrack. Visually Road Rash 2 is not a large step up from the original. It does have a little bit of extra detail and the display system has been simplified for clearer reading. Overall there’s nothing to dislike about the changes. As with the first game you’ll need to compete against you fellow rashers to win races and earn cold hard cash. This time around you prize money seems to have more of an impact with access to the bike shop from the very start. Here you will find a variety of bike classes and options. 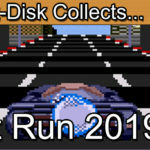 It’s a nice touch as it adds an element of saving up for that next upgrade and also encourages a sense of replay value on tracks that you have already raced on. The races themselves play out very much as you might expect. The other riders seem much more aggressive and competitive from the stat compared to the original. This adds instant fun to the game. One change is the introduction of the chain weapon. The billy club is back but the chain deals out significantly more damage. Be careful of those riders that look to attack you, this time around they are much more likely to cause you serious harm. With Ron Hubbard returning to this sequel you’re also guaranteed of an excellent soundtrack throughout. It’s at least as good as the first in my opinion and perhaps more memorable. The password system is also back from the original. If you know that magic code you can unlock the fasted bike in the game, the Wild Thing 2000. The bike is comically fast and almost impossible to control if you’re a bit of practice as I am. Still, it makes for some awesome crashes as you fly through the air at high speed. The physical boxed copy is a rather nice release. This game has the regular black plastic box, solid artwork and a decent game manual. In the UK look to pay around the £10 for this edition, in the US around the $10 should still be achievable. In terms of a release Road Rash 2 is a clear improvement over the first. There’s nothing broken, the racing is solid and the overall experience is both memorable and enjoyable. 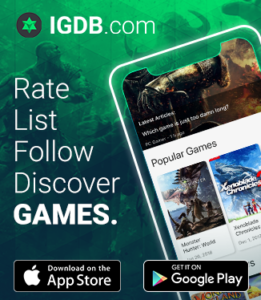 If I had a criticism of the game it’s that it is very similar to the original. It’s clear that the code has been recycled and the formula only changed in marginal ways, just enough to warrant the game to stand as a release in its own right. We have to be careful what we wish for though as 1995 saw the concluding release of the original trilogy. It was a game prepared to abandon the established aesthetic of the series and offer us something a little bit different. Join me next time in the concluding episode of this Road Rash mini series.